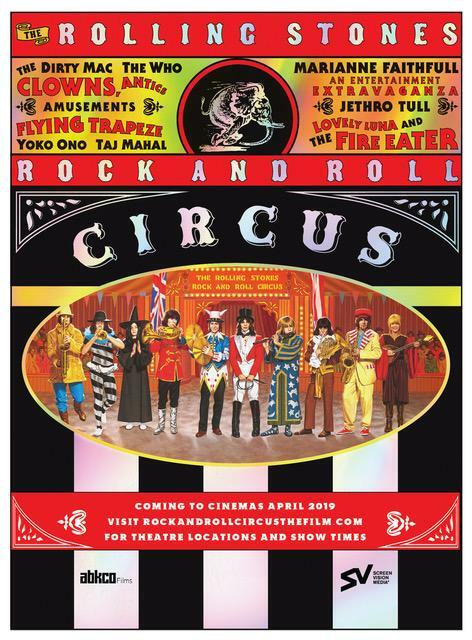 New York, NY,(Perfect Music Today)March 19,2019 —ABKCO Films in collaboration with Screenvision Media, a national leader in cinema advertising, announced today ticket availability for The Rolling Stones Rock and Roll Circus. Theatre screenings for the iconic 1968 concert show will take place April 1, 3, 4, and 5 in select theaters nationwide, including markets such as New York, Los Angeles, Chicago, and Dallas. Fans can purchase tickets at www.rockandrollcircusthefilm.com.